Anti-nuclearists typically promote intermittent (weather dependent, non-dispatchable) wind and solar, rarely defending the dispatchable energy sources normally considered to be renewable (hydro, geothermal, biomass, biogas). Even Jacobson's flawed study relied heavily on hydro. Without adequate hydro, his energy strategy became a two-legged stool. "Always wondered how we are going to cope with the existing nuclear plants on the coast as Sea levels rise and storms become more intense. How do you see that playing out?" Don't see it as a problem. Dikes can be very effective. Ask the Dutch. As for storms, see Figure 1. "The dutch recognize that dykes will not protect them from the rising Sea levels. It says so in the article. They are to the expects. You should not ignore there conclusion. There is going to be a huge problem with existing nuclear stations on the coasts n in land as they are on the Banks of rivers. Miami is a good eg. You can't dykes Florida." Big difference between building a dike around a portion of a power station and an entire country (or state). There are tens of thousands of miles of dikes in the U.S. that constrain river systems. "Sea levels are becoming too high. It take money n time n resources. It's going to be a huge problem ...flooded nuclear plants on our coasts are a huge problem that's going to be difficult n expensive to manage ...a huge expensive problem. And is not safe. The risk of failure goes up massively due to catastrophic breach. Accessing the plant is also big problem." First, none of that is true. Secondly, it will be many decades before sea levels are problematic for most nuclear power stations located adjacent to coastal water sources. 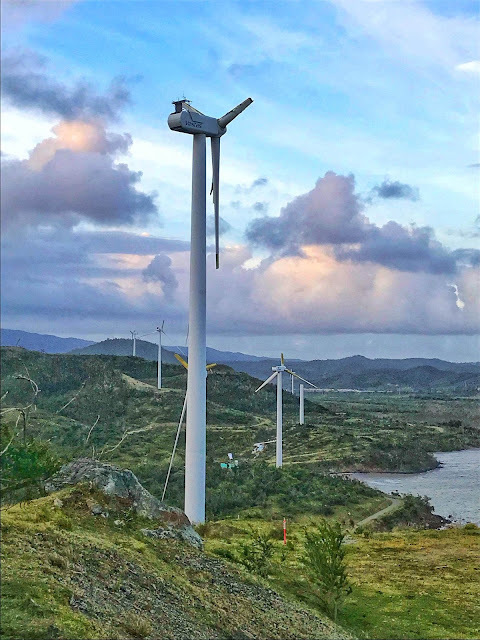 Wind farms will go idle because of changing wind patterns, and the degradation in solar efficiency from higher temperatures are also problems. Why focus solely on the challenges for nuclear? "The latest Sea level rise for ~2100 5-7ft." Note 2100- 2018 = 82 years. Seven feet is a modestly sized dike, but more importantly, any existing nuclear power stations located in flood zones today will, by 2100, have reached the end of their operational lives a half-century or so earlier, making all of his arguments about rising water, moot. Anti-nuclear indoctrination victims rarely formulate their own arguments. They read them somewhere in the internet echo chamber or in the lay press, where another indoctrination victim had repeated it and on and on. When they find one that strikes a chord, they repeat it. And there's no end of arguments to pick from. They make no attempt to critically assess the argument before repeating it. The above argument is a close cousin to others claiming that low water levels or warmer inlet or outlet water temperatures will make nuclear unsafe and uneconomical. Below I discuss a recent incarnation encountered in a Disqus comment, which interestingly enough was based on a 2007 article in the New York Times written by one of their own journalists--a perfect example of how the lay press does so much damage regarding scientific and engineering topics and also an example of how old arguments (over a decade old in this case) moulder on the internet waiting to be resurrected again and again. "In 2012 a nuclear plant in MA using ocean water had to curtail operations due to warm water temperatures. The inlet pipe wasn't deep enough. Plants are designed to operate under conditions. Those conditions will be more uncertain in the future." No power source is impacted by weather-related water concerns more than hydro. Hydro power can be curtailed for years on end due to long-lived droughts. On the rare occasion when a thermal power station like nuclear has to reduce power because of low intake cooling water levels, it's for very short periods relative to hydro. Figure 2 shows that 3.5 times more hydropower stations were affected by low water over the study period than nuclear. Climate change is going to have a much worse impact on hydro (Jacobson's inadequate third leg) than it will on nuclear. A power plant can be designed or modified to handle higher water temperatures if so desired. The largest nuclear power station in the U.S. is located in the Arizona desert and uses municipal wastewater for cooling. Singling nuclear out from all of the other thermal power station types is dishonest as well as disingenuous. And keep in mind that wind and solar are very dependent on natural gas to integrate them into the grid. "Solar efficiency decreases in hot weather. So you put up more." Which, of course, increases cost, just as the need for more cooling capacity in nuclear, solar thermal, geothermal, biomass and landfill gas thermal power stations will increase cost. "Wind is also going to be affected by climate change. Might be on the wrong side of a front for a long time." Wind patterns are going to shift in a manner that will permanently impact the productivity of some existing wind farms. Also, transmission lines are less efficient at higher temperatures, and because wind farms typically require lots of extra transmission lines, you can expect higher system costs as a result of higher average temperatures. "But during an extreme event renewables may be the only generation left working." See Figures 1, 4, and 5. Not mentioned by either of the above commenters was the old water availability argument. Again, nuclear is no worse in that regard than ostensibly renewable thermal power stations (and much, much less of a concern than with hydro, the third leg of Jacobson's energy stool) and that concern can be mitigated by design if necessary as the largest nuclear power station in the U.S. demonstrates by using municipal wastewater for cooling even though it is located in the Arizona desert. Wind and solar can't do it all. This article will be added to the list found at Breaking the Anti-nuclear Indoctrination Cycle.